On May 22nd, 2017, Martyn Hett was one of twenty-three people killed in a suicide bomber attack at the Manchester Arena. More than a year on, his brother Dan is working on a third title inspired by his experience of what followed in the days and weeks after the loss of his brother, as well as a larger game that explores how people cope with such a crisis. Beyond the irreversible effect Martyn's death has had on his life, there has also been a significant impact on his career. In years past, Dan has worked on multiple children's games for the BBC - as well as other indie projects - but in June 2018, he set up a new studio to focus on something entirely different. "I've been using video games as an outlet to explore some of the experiences and themes I went through," he tells GamesIndustry.biz. "I've been making games my entire adult life. I've been running the Manchester Game Jam for the last five or six years - it's almost the default operating mode for me in a way. When I went through this massive change, my trajectory as a game maker changed slightly as well and has had a real effect on my output." This was most recently demonstrated by The Loss Levels, a short game commissioned by the Now Play This festival; an event run by London's Somerset House dedicated to experimental games. 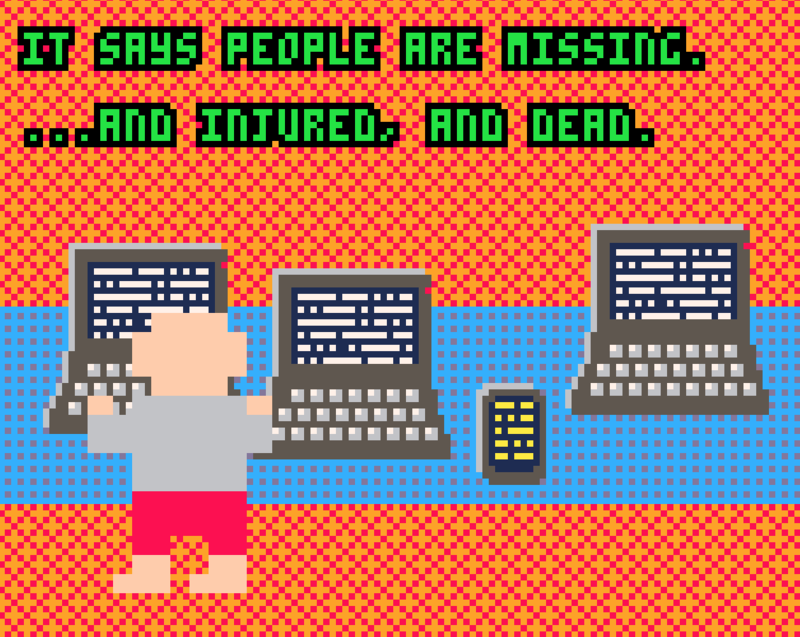 The title was a series of 15 micro-games, each about 10 seconds in length, that chronologically explains elements of Hett's experiences in the wake of the attack. "Although this was a large experience, it was actually made up of lots of smaller ones and the game tries to capture that," he explains. "It's not completely literal, so there are no names, I don't mention any places or specifics - it's quite interpretive. I think it gets the message across without me needing to go into what is a very personal narrative. It's about the experience as opposed to the specifics." "If you're put into a narrative where you start to get insight into the kind of processes that person would go through to be radicalised, I think games offer that to players very uniquely"
The Loss Levels is actually the second of three titles Hett has developed to deal with his experiences. 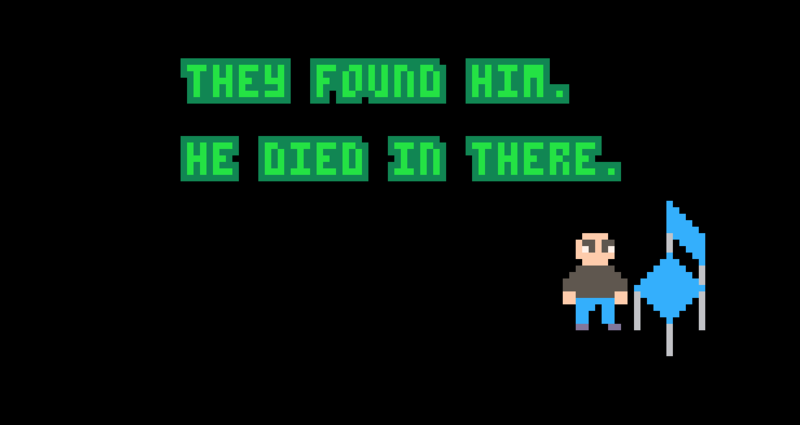 The first was C Ya Laterrrr, which was a "very verbose text-based Twine game" named for the last message he received from Martyn just a few days before the attack. "It was almost a small novel, an outpouring of text," Hett says. "The Loss Levels is on the other end of the spectrum - it's another direct retelling, but distilled into the purest, quickest form. "Future games in this series I think are going to be less literal, less about my experiences and more towards wider issues, particularly around extremism, radicalisation and that sort of thing. But it felt important to get this out in a couple of forms. "My instinct at the time, within a day or two, was just to write and write and write, and I just scrawled and scrawled and that naturally turned into the first, text-based game. The Loss Levels was a bit more of a considered effort, but the trajectory of these games is definitely moving away from me now. I've done what I wanted with these two works, and I'm starting to branch out to do things that are more ambitious in scope and less about me." The experience also proved to be somewhat therapeutic, as it enabled him to process how events might have played out different. C Ya Laterrrr, for example, is "as much about what I didn't do as what I did do." "There are dozens of routes through it but only one endpoint," Hett explains. "Most of the decisions you can make in that game are ones I didn't make, but there is one pathway that does reflect what I actually did - although I don't make any reference to it. That's part of this experience: you reflect on the choices you didn't make, and games allow you to get that out in a way that a novel or a film wouldn't." The third title in this series will be Sorry To Bother You, which will focus on journalists and the way they aggressively hounded Hett and his family for their story - "within hours of it happening, long before we found out my brother had been killed," Hett adds. 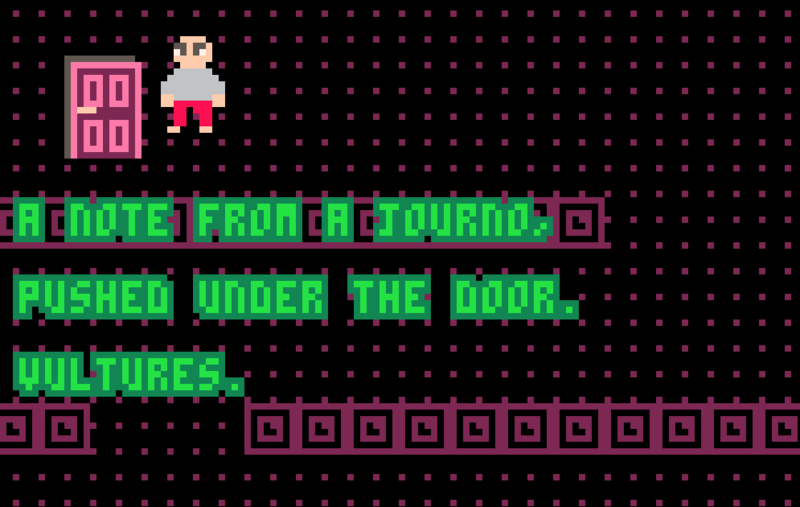 The game will be based on a dataset of messages he received over a few days and will task players with weeding out the ones that are thinly-veiled journalist requests. "You reflect on the choices you didn't make, and games allow you to get that out in a way that a novel or a film wouldn't"
Additionally, Hett is now working with his new team at Passenger Games on their debut title Closed Hands, a "deep interactive fiction game examining the intertwined human stories in a crisis." This is just the first title for a studio that plans to show how video games can be used to explore the broader issues around tragic events like the Manchester Arena bombing, titles that are not just about the victims but what leads to such an incident even happening in the first place. "Games have the power to put you in the shoes of somebody else," says Hett. "Telling a story of extremism, explaining what it is and isn't... you don't glean a lot from reading about it. But if you're put into a narrative where you start to get insight into the kind of processes that person would go through to be radicalised, I think games offer that to players very uniquely. Although you can do that with other media forms, giving a player agency and the ability to make choices within these experiences makes things stick for me. "Some of the best experiences I've had wouldn't have hit home if they'd been via film because I wouldn't have had agency within them. It's just an incredibly exciting thing that games offer, and it's the people that don't know about this stuff who I want to reach. The idea of gamers being teenage boys in their bedrooms is completely nonsensical at this point. Some of the games I'm planning probably wouldn't be classed as games - even the word 'game' doesn't match what a lot of the best experiences are for me. Although I don't know what a better word is." Hett observes that the industry is starting to produce more titles that appeal to the sort of audience he is thinking of, serious games that explore issues in a way no other medium can. He offers the examples of That Dragon, Cancer and A Mortician's Tale - projects he believes "could almost be described as 'death positive' games." "I think there's definitely something in there, but there's still a huge lack of knowledge from non-gamers and general consumers of content. I think they're unaware of the power of interactive and how games can tell these stories," he says. "Longer-term, I have bigger aspirations but then I get into the thorny issue of funding this thing and making them happen." "If I were a painter and a traumatic experience meant my work took on a different tone, that would be fairly well understood. I'm not a painter, I make video games. It was only natural that this change of direction would be reflected in my work"
Herein lies a major challenge Passenger Games faces. While Hett previously funded his solo projects with a small Patreon (and The Loss Levels was part funded by Now Play This) financing larger projects like Closed Hands is more difficult, particularly as it won't appeal to a traditional audience. 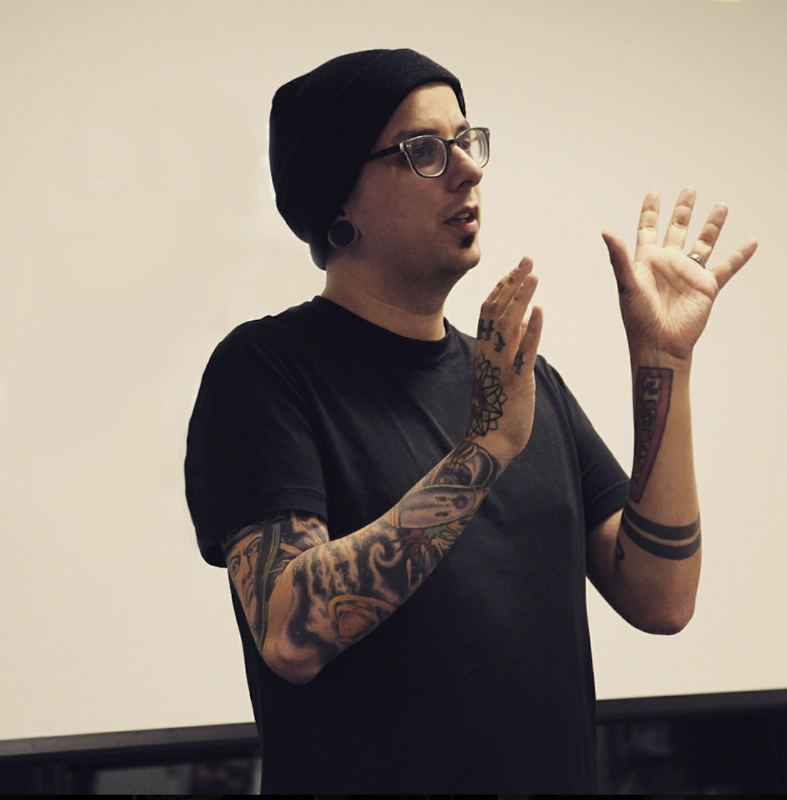 "Funding a game that is not particularly sellable is quite a difficult thing to do," he says. "An experimental games festival commissioned me to make a small works, but anything that takes more than few days work is either impossible or means you're working for nothing." He continues: "Even things like crowdfunding are quite tricky, because it's not the sort of games where hundreds and hundreds of people will go, 'great, I'm really into this'. It can be a niche thing, these sort of artsy, experimental storytelling things - and I kinda disagree with that. I think there are many people who just aren't aware that they would engage with this meaningfully. It's reaching those people, the ones who wouldn't necessarily come to an experimental games festival... that's one of the things I really want to do." Working for nothing is no longer an option now that Hett has another writer and a designer on the team. Passenger has secured enough seed funding to create a prototype, and Hett is hoping to appeal to bodies like the Arts Council to fund the rest. "With my independent, indie dev hat on, I love the idea of some big entity saying, 'here's £50,000, go away and make this magical thing just so it exists' - but in the real world, that doesn't work," he says. "Crowdfunding has helped - I know a few people who have crowdfunded commercially unviable games, and they exist just because they should exist. The Arts Council is a really good route if it's appropriate, which in my case it is but that's not always the case for everyone. "I would like more of these enormous entities to set aside tiny grants. A few grand from someone like Microsoft just to enrich games. It feels like pocket change for a firm like that, but would be an enabler for somebody trying to get something off the ground. But convincing large entities to part with small amounts of cash is very difficult. "With games it always comes back to saleability, profit and that sort of thing. Even though there's been a good injection of cash into the UK games industry over the past few years, it still comes back to, 'okay, are you going to recoup this? What's your business model over the next few years?' - and that's difficult to answer when your product doesn't exist just to make money." While Closed Hands won't be built purely for profitability, Hett does hope to distribute it to the mainstream via platforms such as Steam. This will be a significant step up from his previous works: The Loss Levels, for instance, is playable for free via Itch.io for anyone who wasn't able to attend Now Play This. To have made not one, nor two, but three games inspired by the loss of his brother, indicates how therapeutic the process of games development has been for Hett. And to start up a studio with the intentions of continuing this work, expanding beyond his own experiences and exploring those of anyone affected by such tragedies, emphasises the impact the past year has had on Hett's career and ambitions. "There's always catharsis in any kind of creative act," he says. "The one question I do get asked a lot is, 'why games?' - usually from people who don't play video games. Trying to explain this to my dad, for example. "But if I were a painter and I went through a traumatic experience that meant my painting took on a different tone or subject matter, that would be fairly well understood. It just so happens I'm not a painter, I make video games. It was only natural that this change of direction would be reflected in my work."